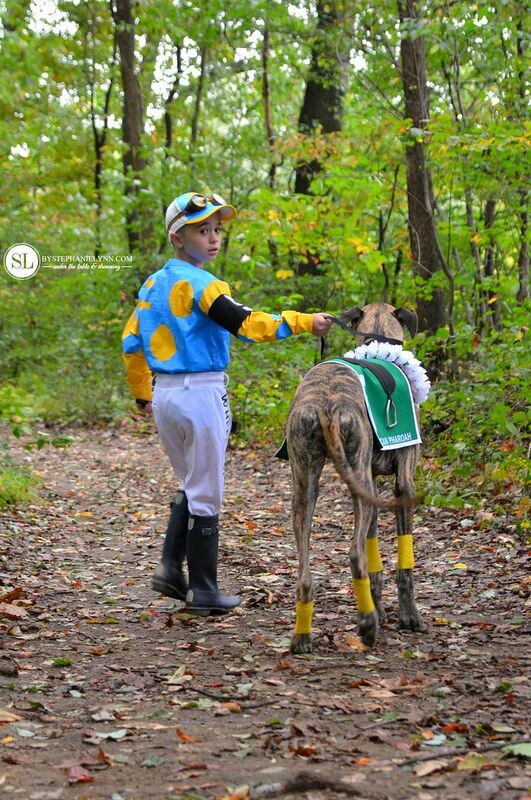 Putting together a homemade costume for my little guy has become one of my favorite projects of the year. 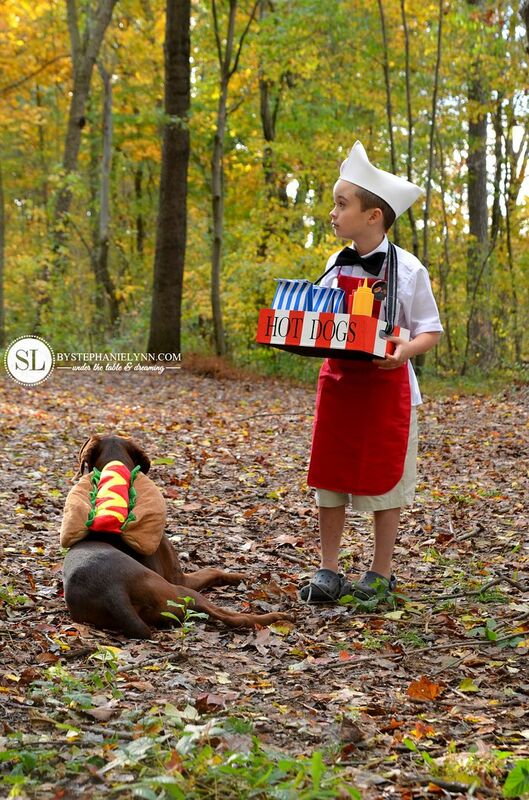 I love the idea of themed costumes and simply cannot pass up the opportunity to coordinate my little guy and his furry friends. 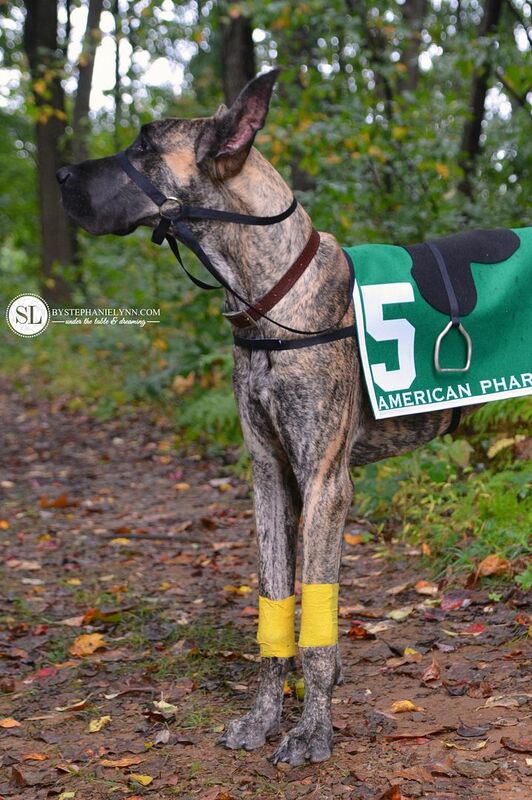 This year we decided to honor the 12th Triple Crown Winner, American Pharoah – the first in 37 years! 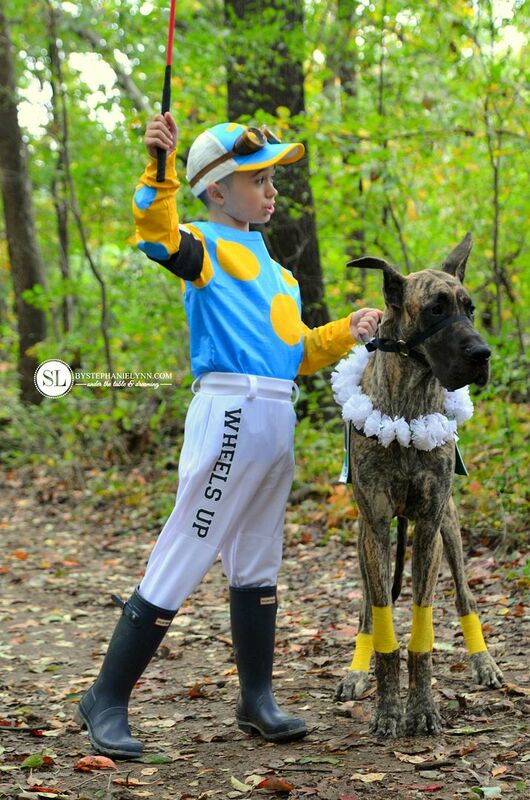 Our homemade Jockey and Race Horse costume was put together as part of this month’s Michaels Makers Challenge – creatively centered on making a DIY Halloween Costume. 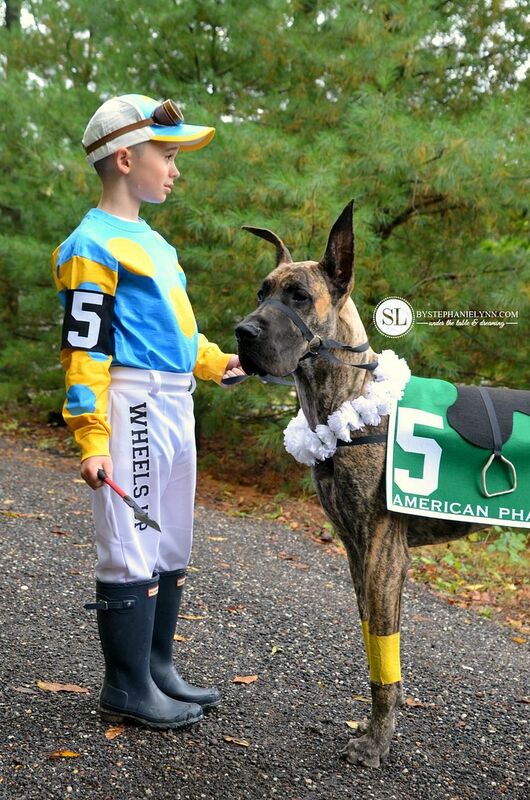 These two costume are very simple to re-create and can be easily customized to fit any size child, or adult, and their pet. 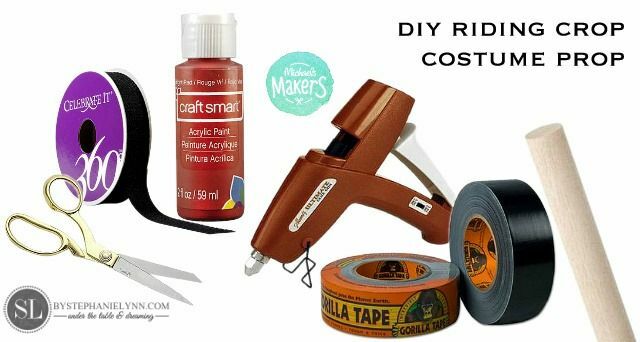 There are lots of pictures and below along with all of the step by step details to make these one of a kind costumes as easy as can be (the hardest part is waiting for the paint to dry)! 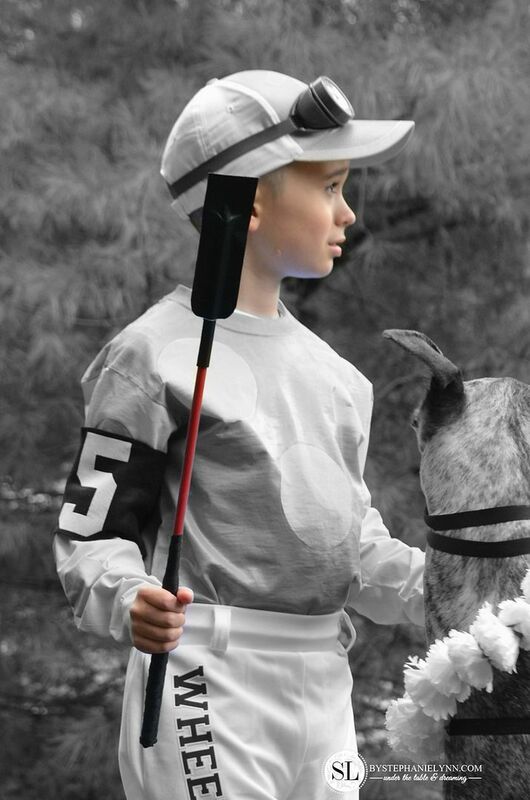 Layout and paint the design of the jockey jersey. 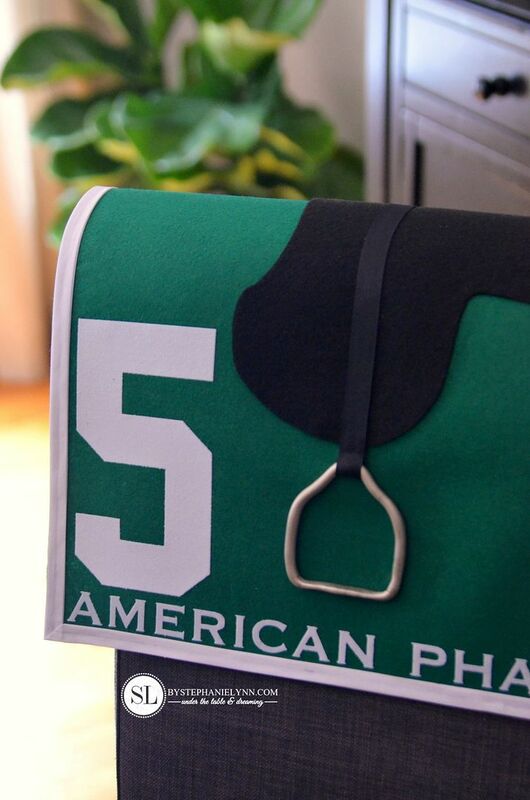 Our design was influenced by the racing silks worn by Victor Espinoza on American Pharoah. A small bowl was used to trace the templates for large circles and a mason jar lid was used for the smaller circles on the sleeves. These were lightly traced right onto the shirt with a pencil. 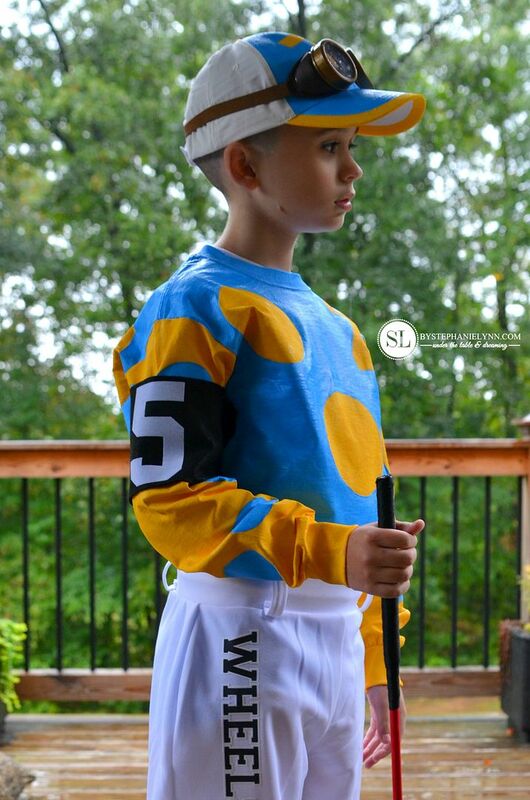 The ‘Z’ on the jersey/”silks” stands for Zayat Stables, the owner and breeder of American Pharoah. 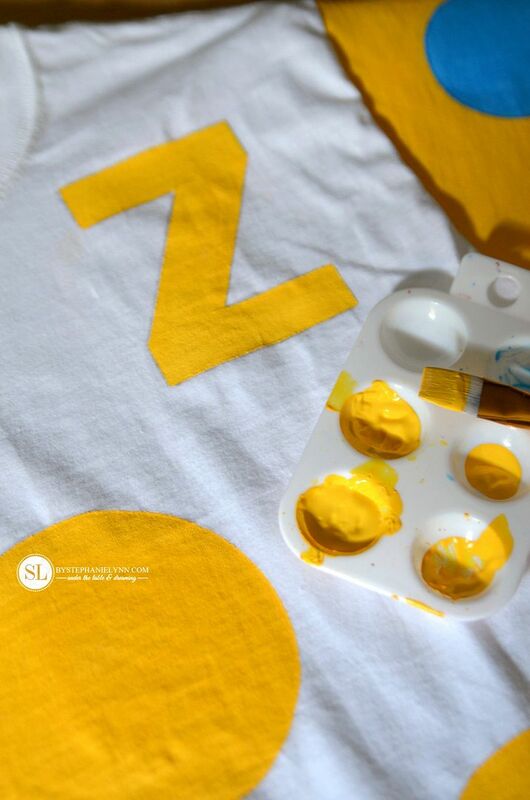 The ‘Z’ was printed on cardstock, cut out and and used as a template for the shirt and hat. Once the design is laid out, begin painting. 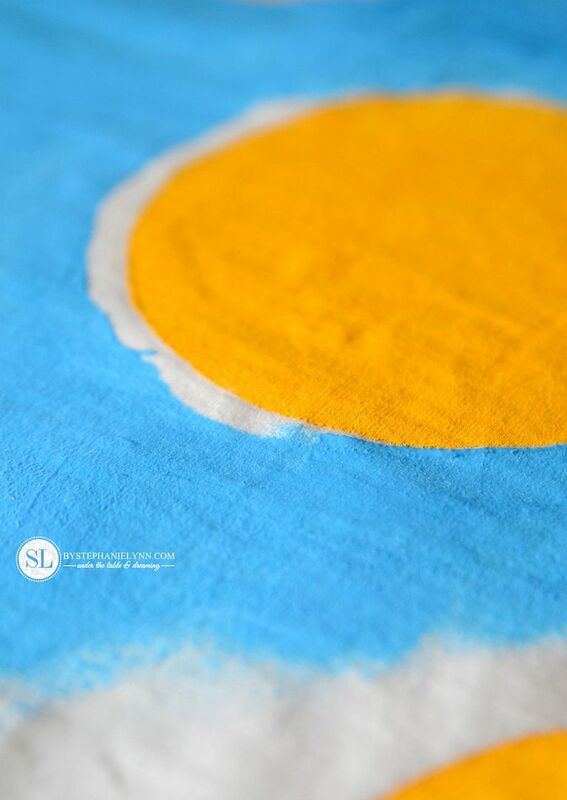 Tulip Brand Soft Matte Fabric Paint in Neon Blue and Yellow were used for our design. The soft matte paint is a permanent fabric paint that dries soft and flexible, so it moves with the fabric and won’t crack or crumble. Allow time for drying before moving on to the next color. Depending on the color, a second coat of paint may be needed. The yellow covered very well with one coat and the blue only needed a light second coat in some spots. 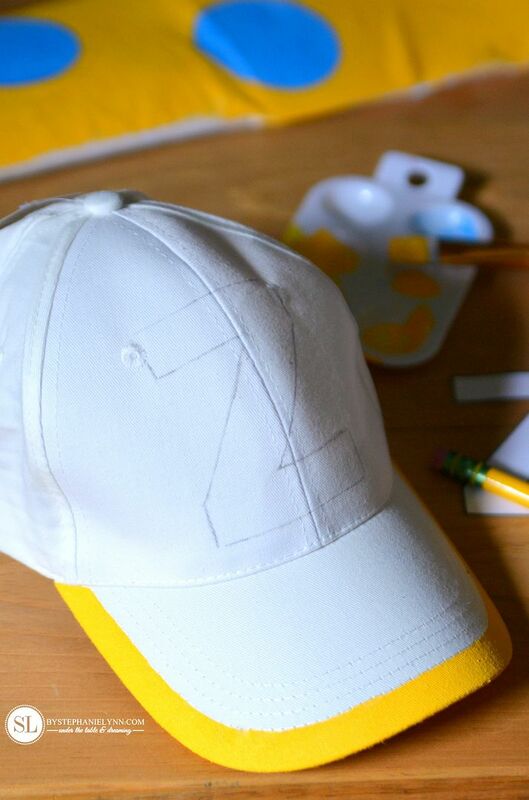 The same methods were used to prepare and paint the design on the hat. For reference: The shirt was youth, size large (10-14). 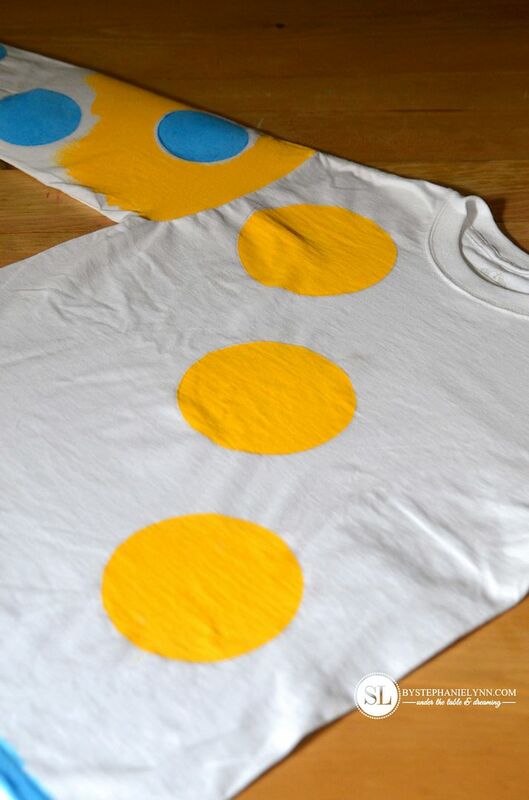 The entire shirt, front and back, was hand-painted. 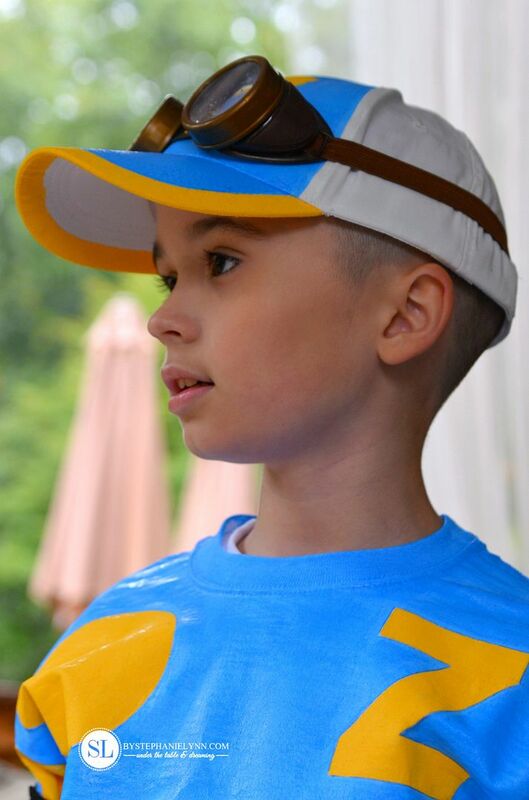 A total of 8 ounces of the blue paint and 4 ounces of the yellow paint were used to completely cover the shirt and hat. 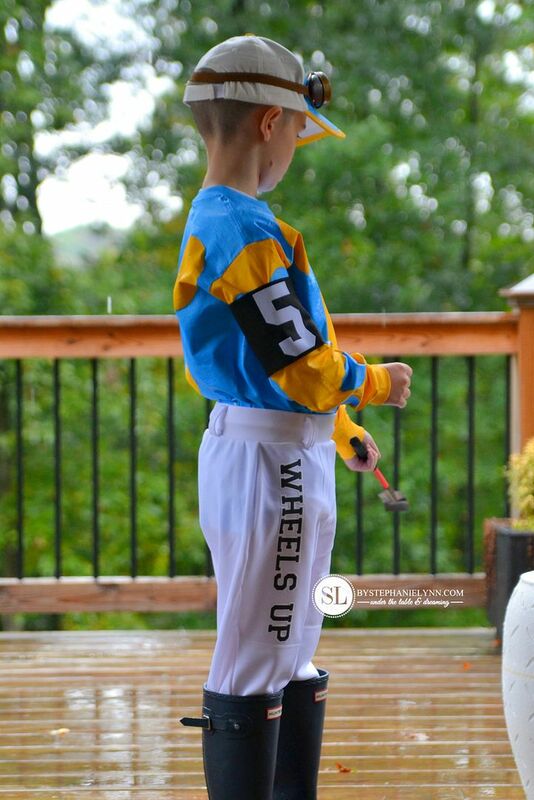 For the jockey pants we used these inexpensive white pull up pants . 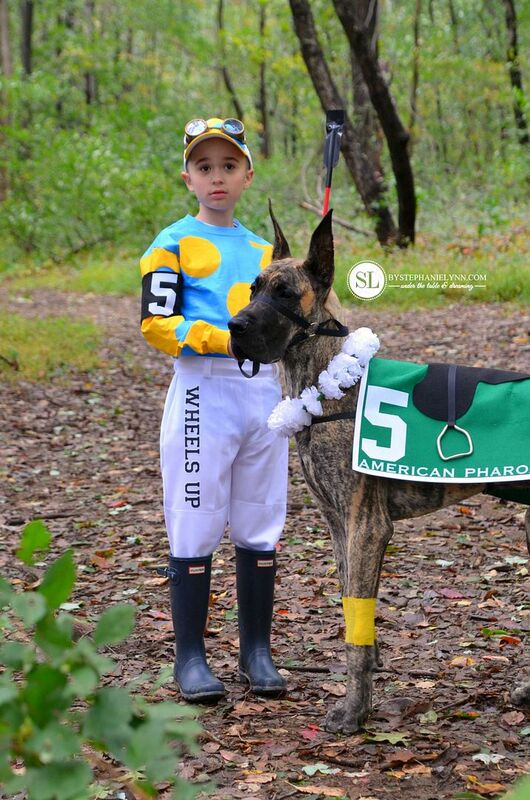 Keeping with our American Pharoah inspiration, 1.5 inch iron on letters spelling out ‘Wheels Up’ (one of American Pharoah’s sponsors) were applied to the leg. Cut a piece of black felt large enough to wrap around the upper arm. 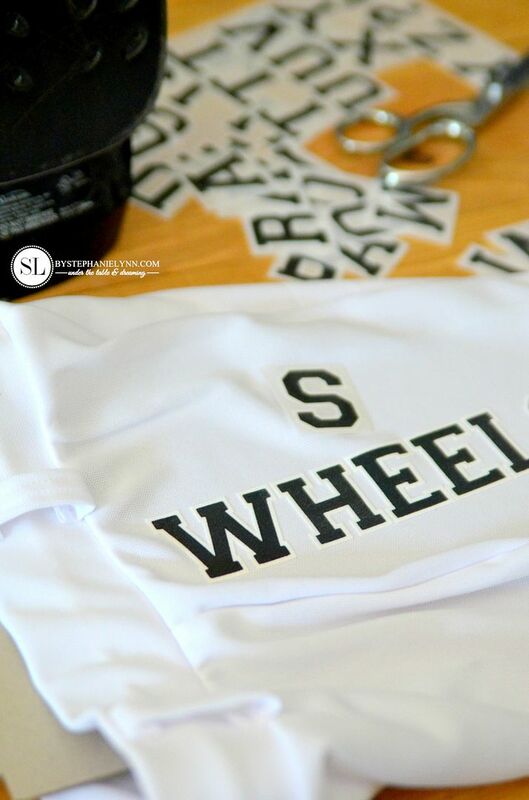 Adhere an iron-on number to the center. I used my Silhouette Machine to cut the number from a piece of flocked heat transfer material. 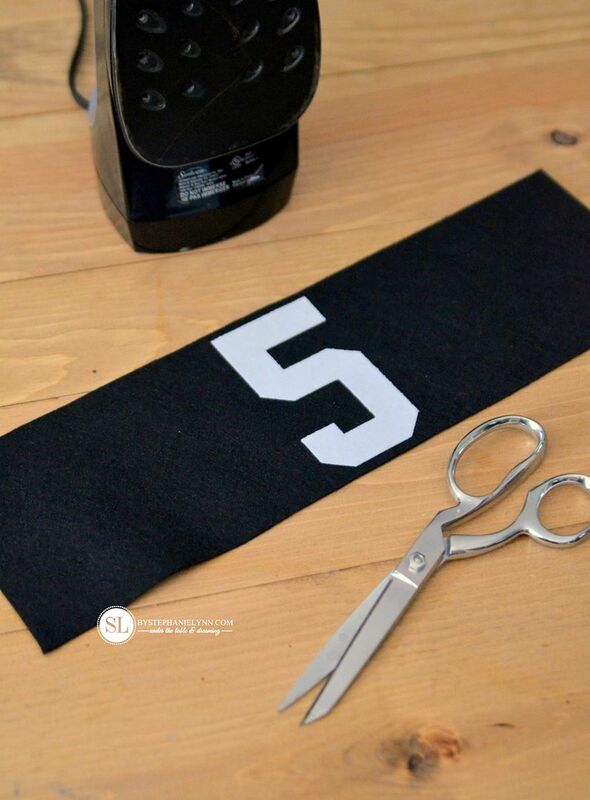 Pre-cut iron-on numbers can also be used. These numbers should be large – at least 3 inches tall. 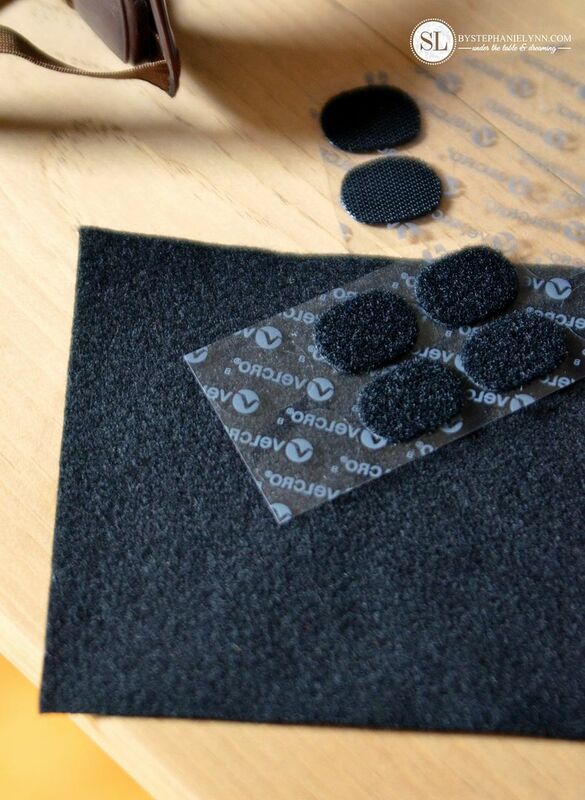 To hold the armband in place, place VELCRO® Coins to the edges of the felt. 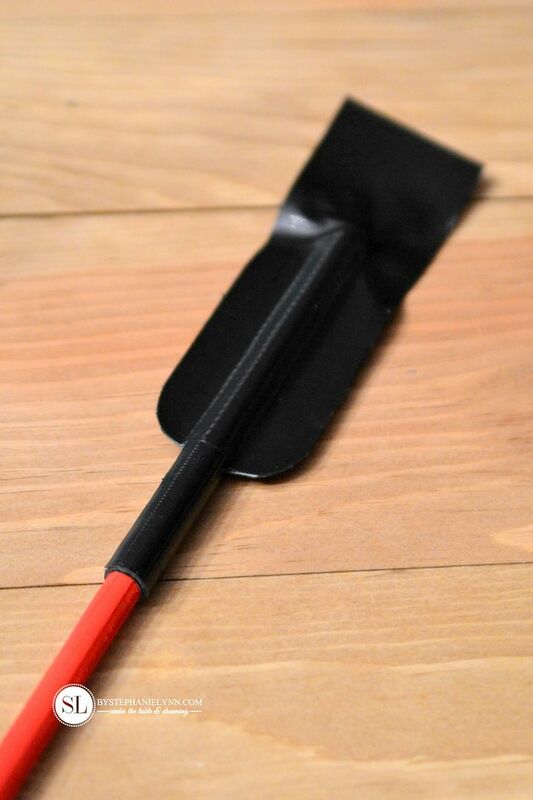 Be sure to pick up the ones with the sticky backs so they will easily adhere to the felt. To complete the Jockey Outfit we used these glasses for the jockey goggles and pulled a pair of rain boots from our closet. 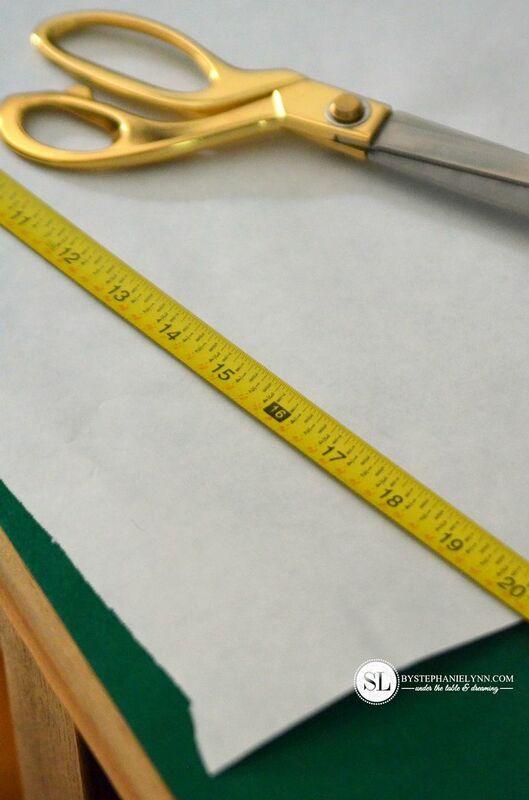 Cut a strip of tape and trim the corners on both ends, to a rounded shape, as shown above. The tape should be long enough to fold in half and double over onto itself. The thickness and texture of Gorilla Tape is perfect for this project. Duck Tape can be used as well. 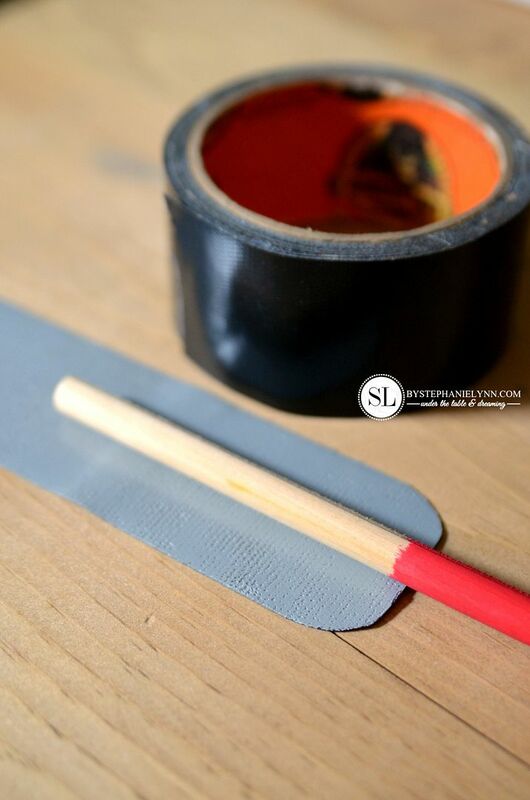 Place the wooden dowel in the center of the strip, and fold the tape in half – matching the rounded corners together. 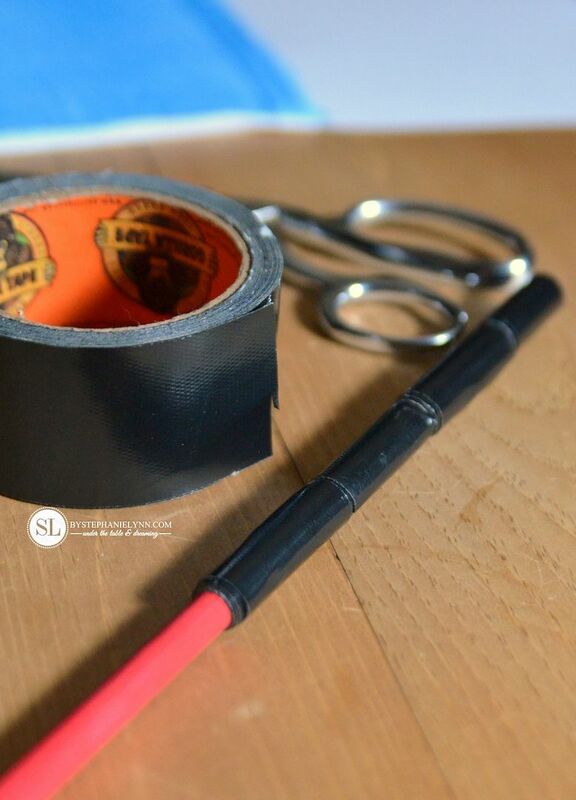 Finish the popper by wrapping another strip of tape around the dowel, right above the rounded taped corners. Wrap the other end of the dowel with several sections of tape to form the grip, as shown above. Approximately 2 inches below the first section of tape, begin wrapping the twill ribbon around the dowel. Use a dab of hot glue to secure the ends. 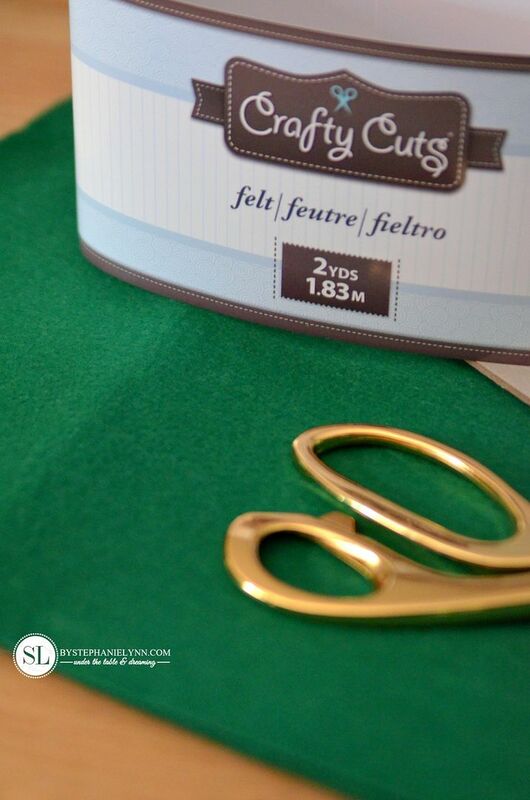 Measure your pet and cut the felt accordingly. 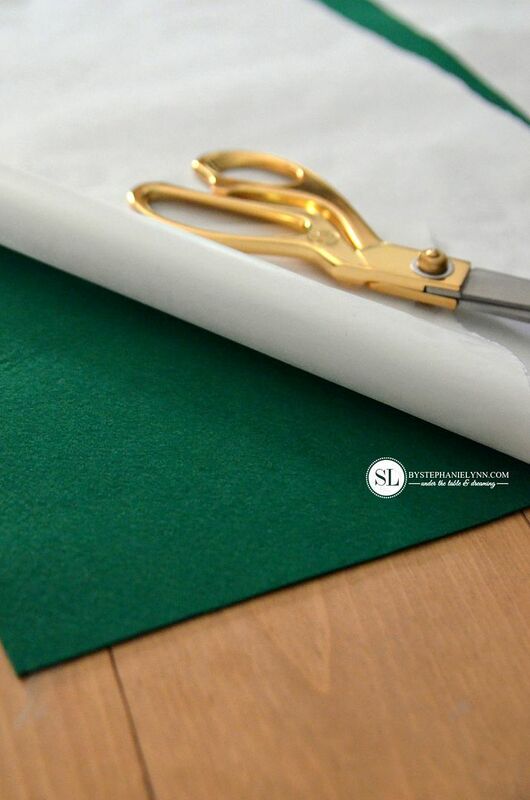 Quick Tip: When cutting felt take a piece of plastic coated freezer paper and iron it to the felt – shiny side down. The paper will temporary adhere to the felt. 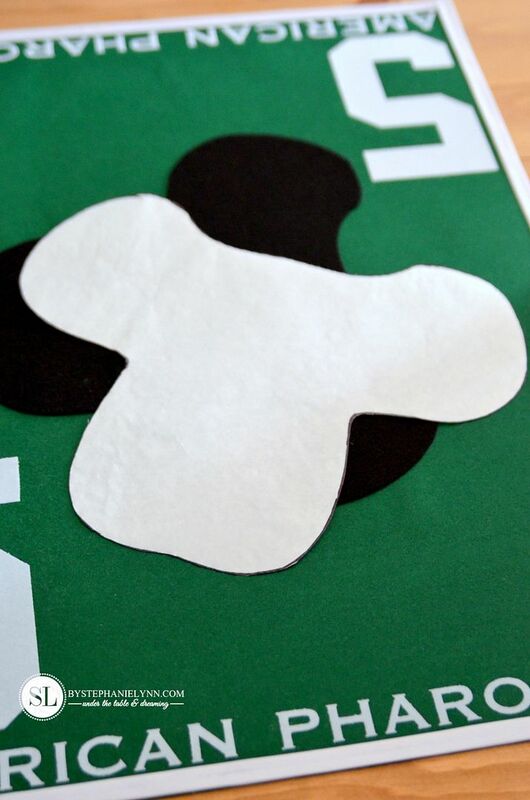 From there, trace or draw the design, then cut it out with a pair of scissors. Once complete, peel off the wax paper. 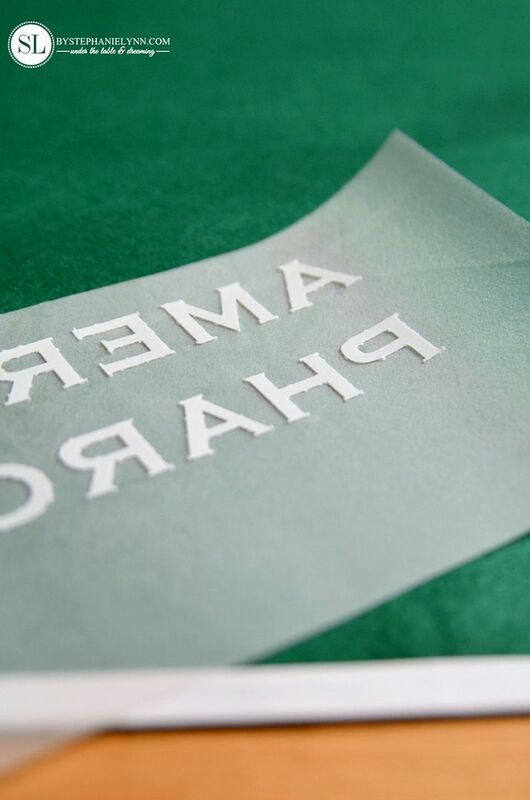 The wax paper will help keep the edges of the felt clean and smooth, plus the trace marks will not show on the felt. The saddlecloth should be a rectangular shape. 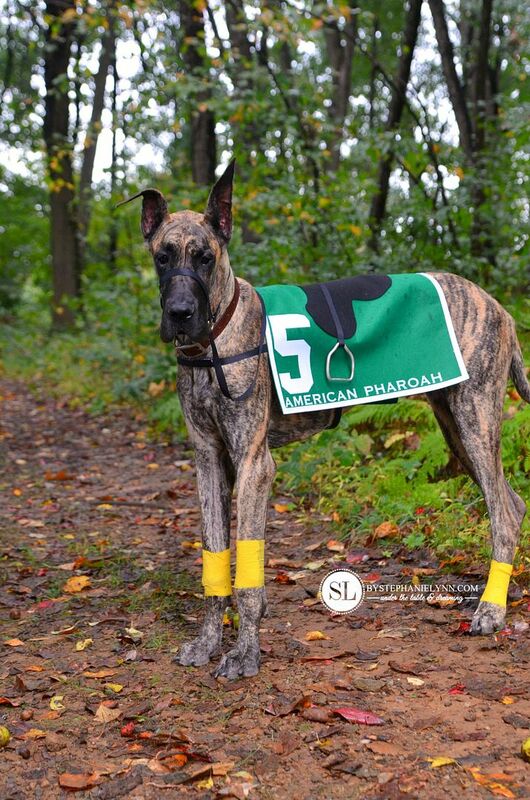 Keep in mind the length of the sides when measuring your pet, so the cloth does not interfere with walking. 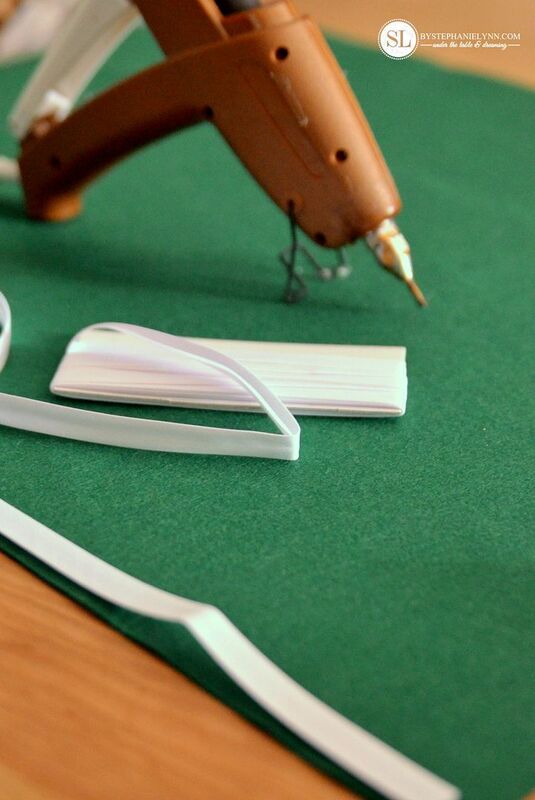 Use a hot glue gun to adhere the bias tape trim around the edging of the felt. For the lettering I used my Silhouette to cut flocked heat transfer material. 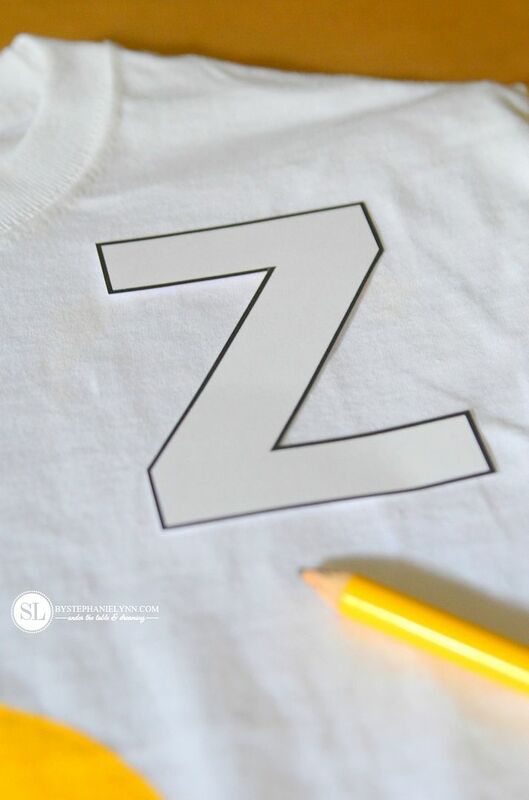 Pre-cut iron-on letters can also be used. 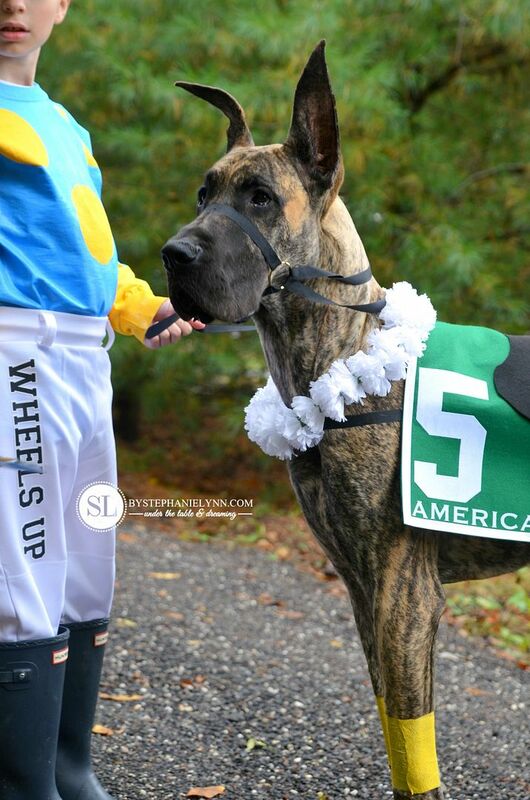 We added the name of the ‘horse’ across the bottom, as well as a large racing number to each side of the felt. Cut the saddle from black felt. I sketched a mock saddle shape to fit the size of our saddlecloth. Don;t forget to use the freezer paper method mentioned above. 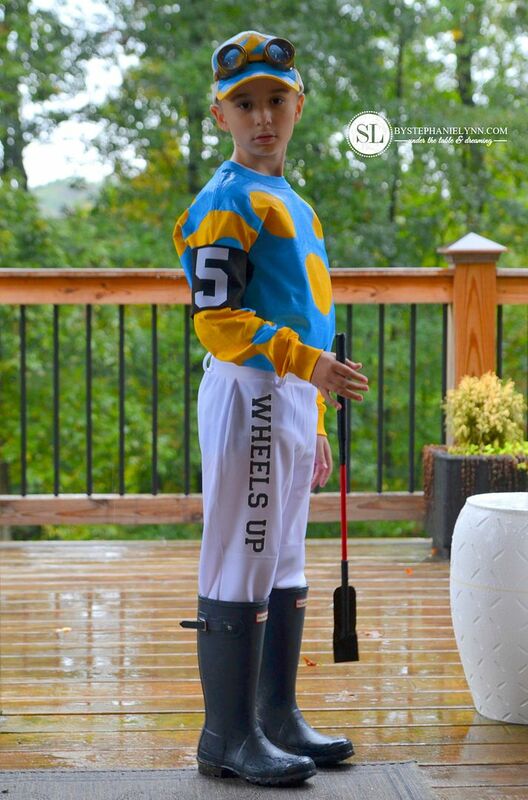 We kicked around a few ideas for the stirrups and finally gave up and just made our own using oven bake clay. 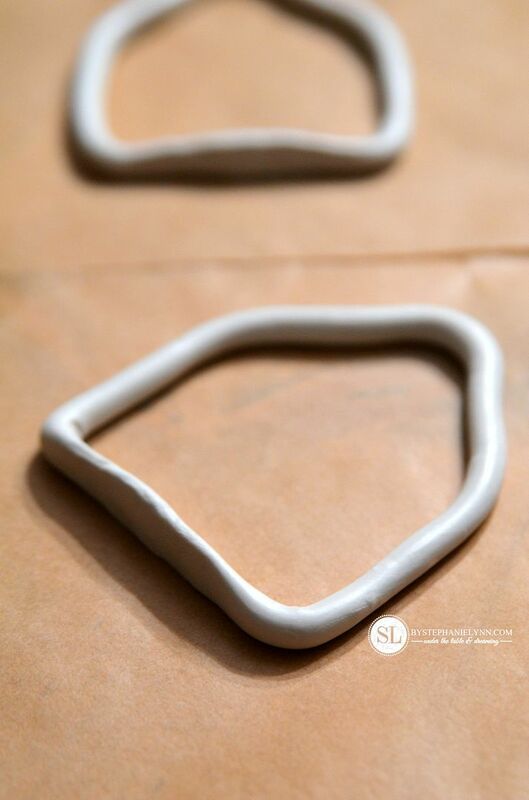 Knead the clay, to soften it, and roll it into a long snake shape. Place a piece of parchment paper on a baking sheet. This where you will be shaping the clay. 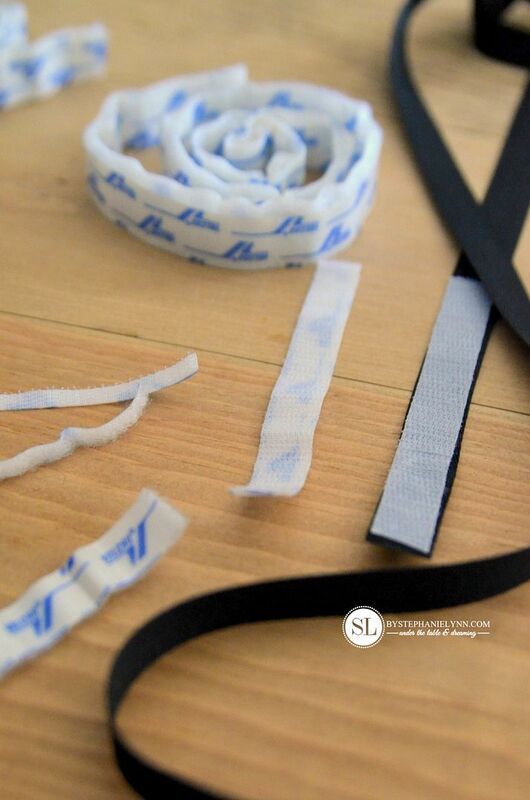 Form the roll into a stirrup shape and join the ends at the bottom, where the tread is. Slightly flatten this section while continuing to join the ends together. Bake the clay according to the package directions. Our stirrups took 15-20 minutes. Paint the clay, once it has cooled. 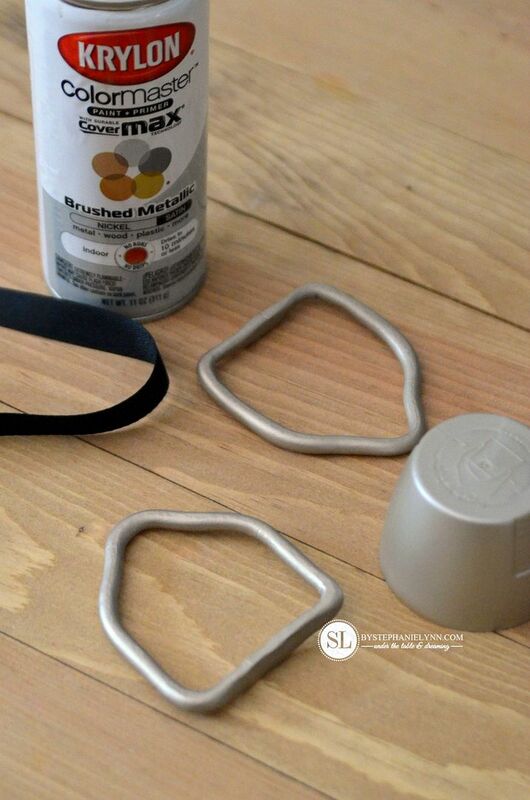 We used satin nickel spray paint . 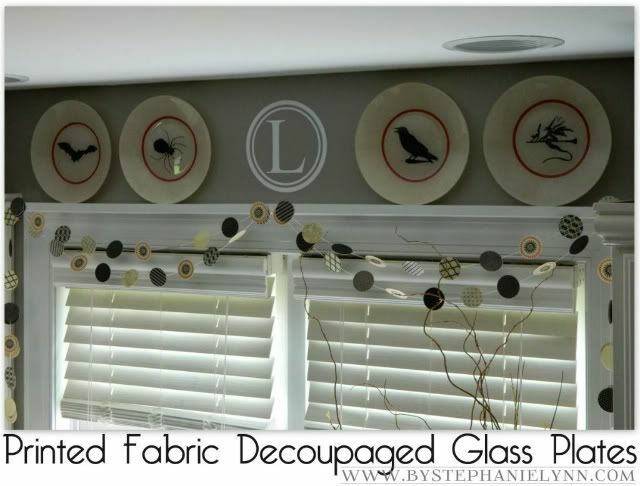 Cut a piece of twill ribbon, long enough to drape over the saddlecloth and hang appropriately on each side. Loop one end of the ribbon through one of the stirrups and hot glue the end, as shown above. Repeat using the other stirrup, at the opposite end of the ribbon. 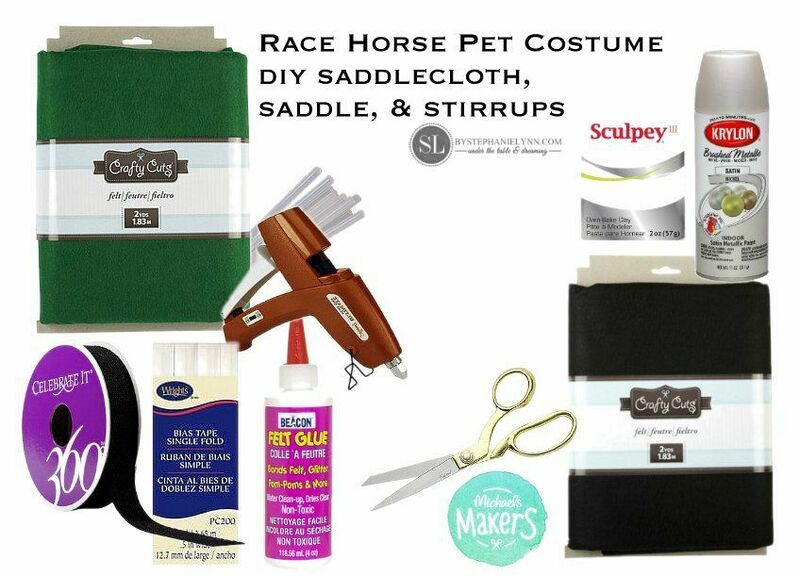 Drape the stirrups over the saddle and hot glue the ribbon into place. 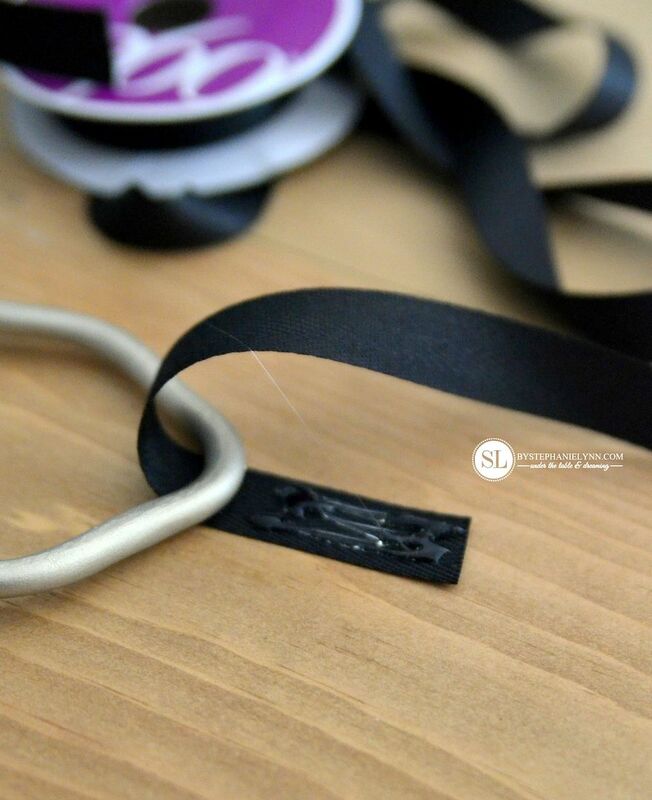 Cut strips of VELCRO® Sticky Back Tape and attach the ‘hook’ side to one end of the ribbon and the ‘loop’ side to the second ribbon. Repeat this step, for both, the shoulder straps and the rib cage straps. Flip the saddlecloth over, to the back, and attach the strips of ribbon in place with hot glue. 4- a long piece for the reins. 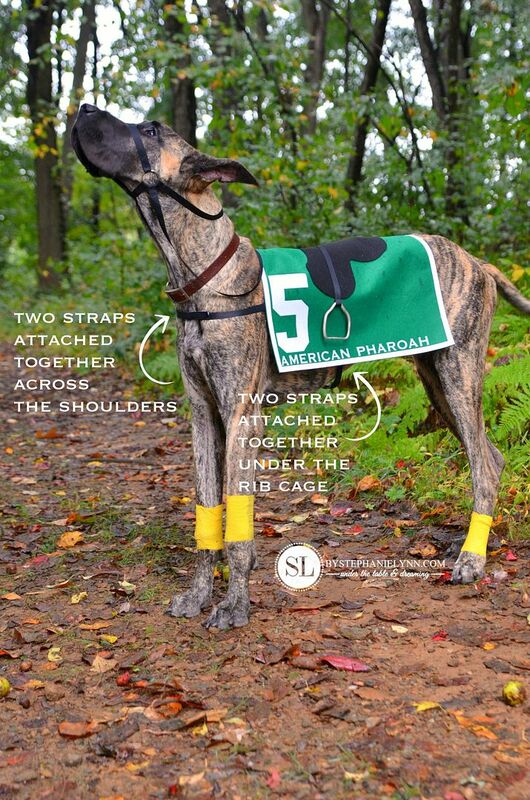 The bridle is constructed by connecting all four pieces of ribbon to two split rings. 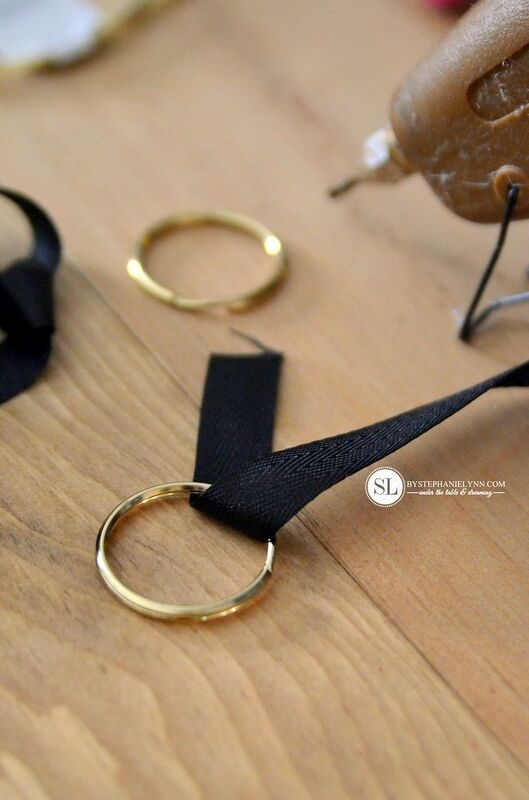 One end of each ribbon gets attached to one ring and the other end is attached to the second ring, using hot glue, as shown in the photo above. We found it easiest to work with one piece of ribbon at a time. 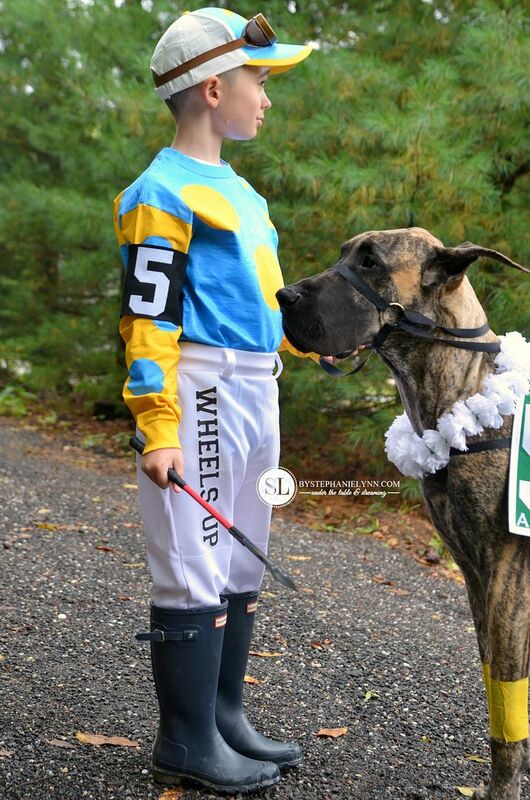 We also measured in between gluing each piece of ribbon to the rings, to ensure it would fit our pup. Since the bridle slides on and off make sure the piece of ribbon that goes behind the ears is long enough to slip over your pets ears. 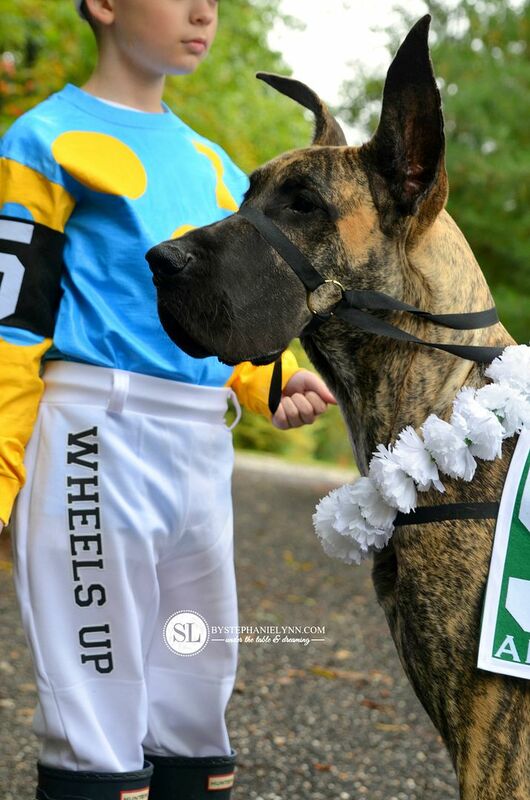 While this flower blanket is no where near the exquisite carnation blanket given to winner of the Belmont Stakes, we thought it would add another special element to the race horse pet costume. This version is more like a wreath. 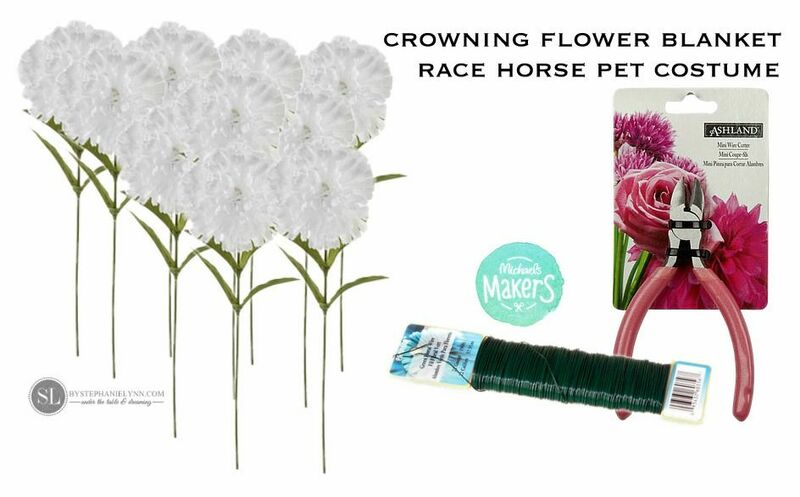 Each race has its own designated flower – We used white carnations as they are the official flower of the Belmont Stakes. 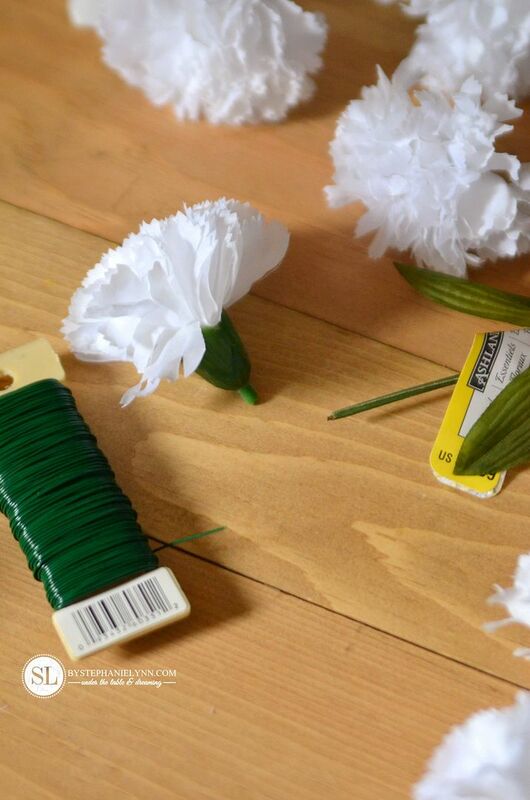 The garland was incredibly easy to put together as the carnation heads pop right off the stem. 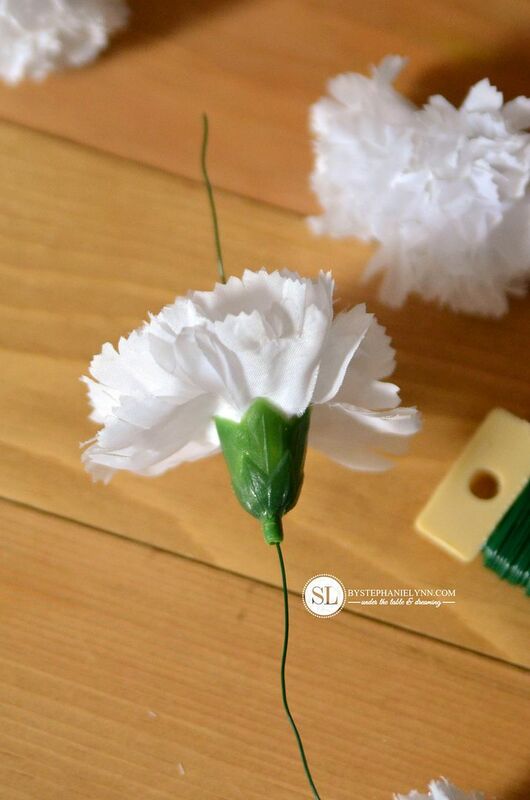 The carnations are then fed onto a piece of floral wire. The wire threads right through the hole of the stem and pokes right through the flower head. The floral wire is easily bendable, though sturdy enough, to loop around itself and stay attached. The total amount of flowers needed will depend upon your pets neck. We used a total of twenty carnations. 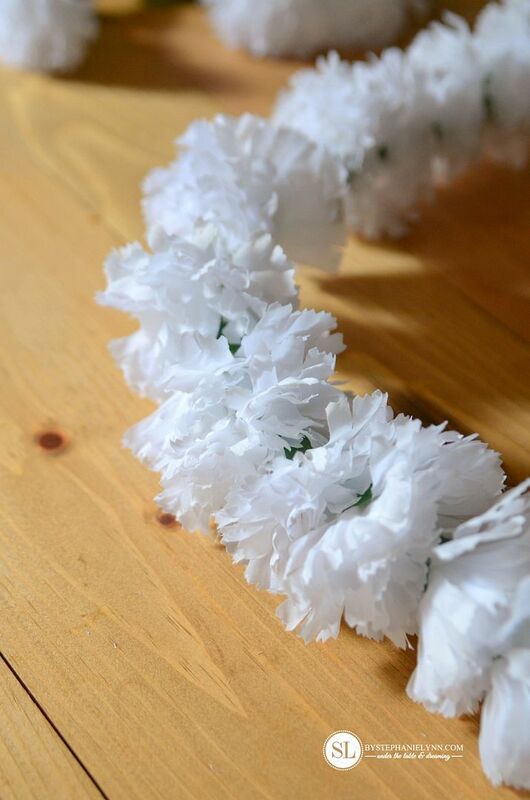 Alternatively, a pre-made flower garland can be used as well. 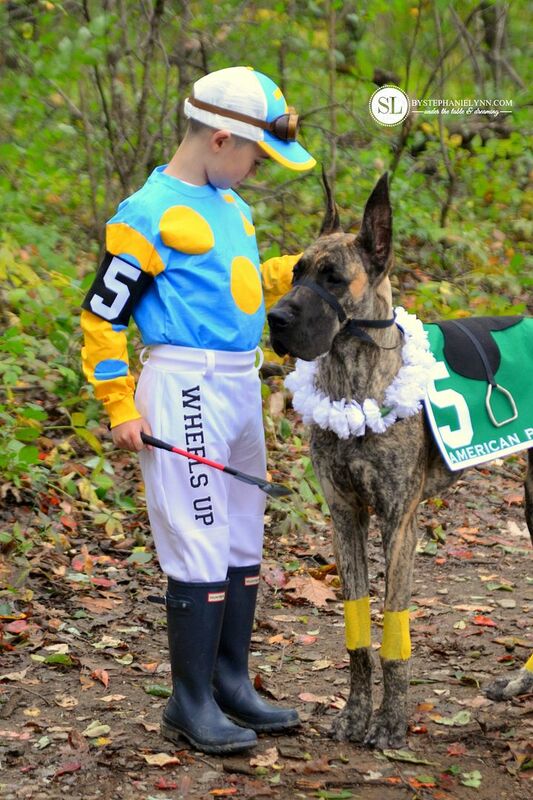 To finish off the Race Horse Dog Costume, bandaging tape was used to wrap the dogs legs. It does not stick or pull the hair so it is easy and safe to use – and it stays in place. This post is brought to you by Michaels . The opinions read here are entirely my own. Whether you’re into spooky sights, playful pumpkins or giggling ghouls, Michaels has great products and inspiration to help transform your yard, classroom or living room into a spooktacular space this year! 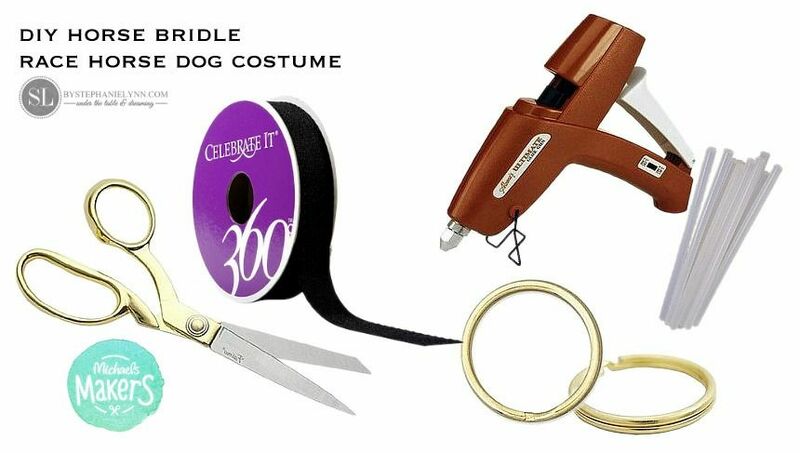 Michaels Halloween project page has tons of ideas for DIY Halloween costumes and décor. Still haven’t decided what you’re going to be? 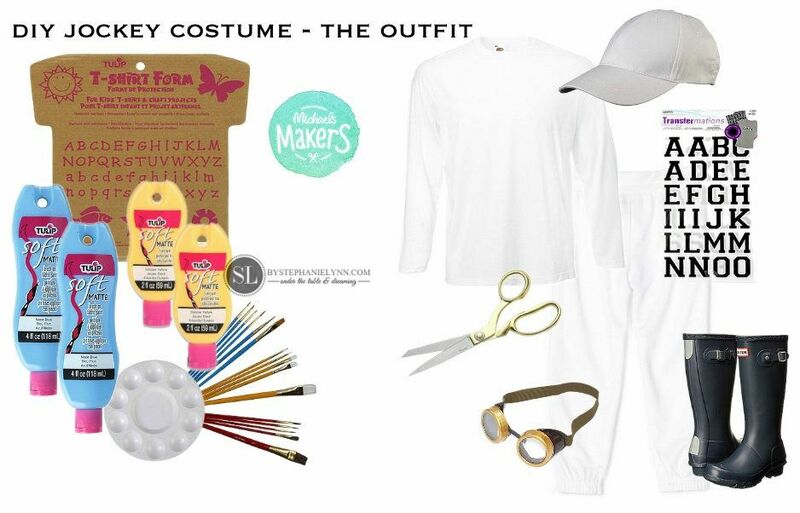 Check out the other 49 DIY costumes from the Michaels Makers above and you might just find the perfect one for you, your kiddos or your beloved pet this Halloween – Happy Crafting! Stephanie you amaze me with your sheer talent and attention to detail, just gorgeous. Secretly I wish you were my mom!!!! Beautiful as ever. Just beautiful Stephanie. You are magic in the creativity department. 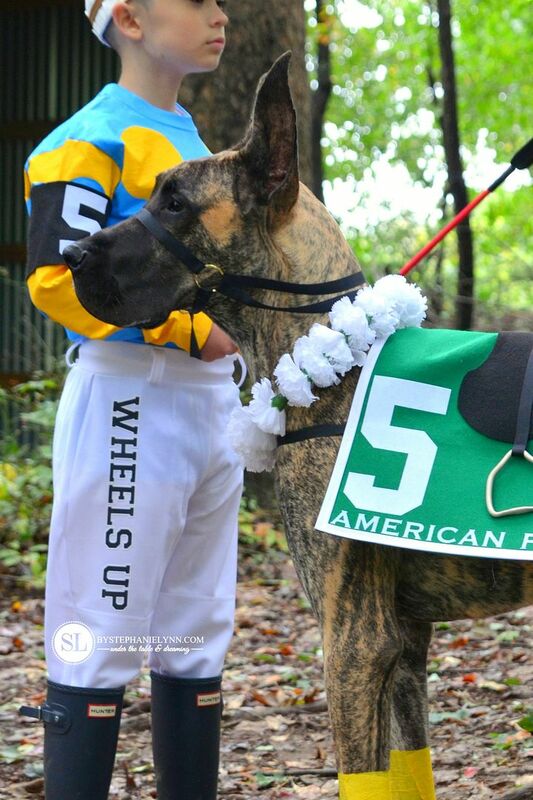 And such a handsome model. So DARN good! And your models? 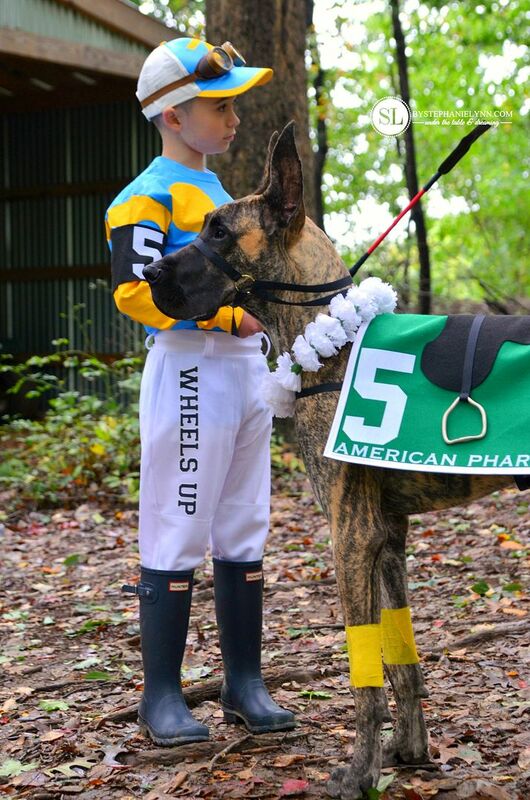 Talk about a heap load of cuteness! Stephanie – this is absolutely AMAZING! 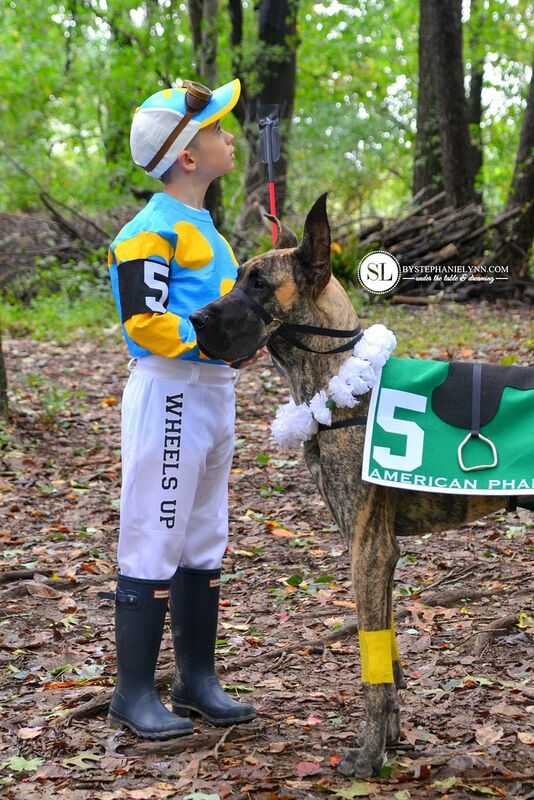 The attention to detail is great and I love your jockey and “horse” 🙂 What a fun year this will be! Oh my gosh! That is AWESOME! Nicely done! So in love with this. You are amazing! I hope you know that!!!! Great post!!! 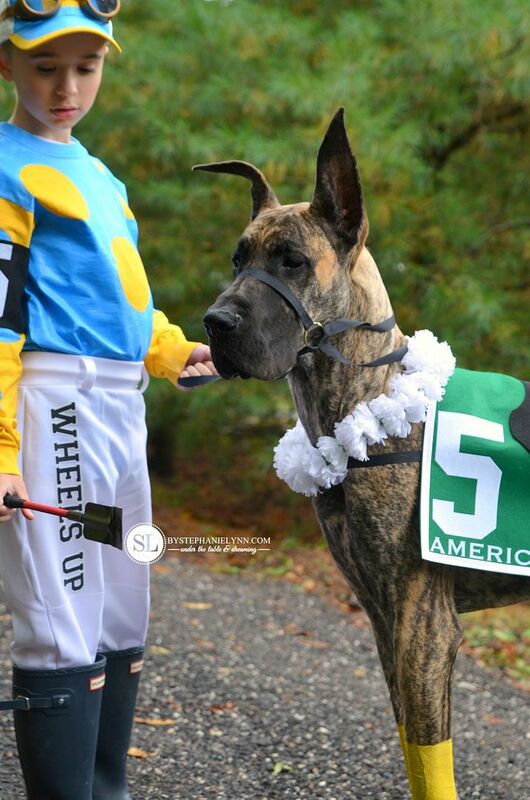 Love the costume!!! !